Right now, there are a total 6829 marketing technology solutions available. There is definitely no shortage of tools in the digital marketing space as it is expected to grow at about 16% per year during the period 2017-2021. This growth is largely caused by new tools and technologies that are continually introduced. The last thing you need is to make an easily-avoidable marketing mistake because you don’t have the right tools. Why should you care about lesser-known tools? Chances are, you already have a tool for most of your digital marketing. When you selected these tools, it probably was tempting to go for the mainstream product and you might have ended up with MailChimp, Buffer, Hubspot, and the likes. Don’t get me wrong, there’s nothing wrong with these well-known tools… But for every one of these mainstream products, there are 10’s if not 100’s smaller, lesser-known tools worth checking. Check off-site reviews on sites such as Capterra, G2Crowd or GetApp. Check Domain Authority and Spam Score, via Moz Open Site Explorer. Contact their support: this gives you a feeling of responsiveness and quality of support. Since a digital marketer’s job covers a wide range of tasks and topics, we’ve tried to come up with a list of tools that cover each and every one of them (You can also look at our list of the 25 best Slackbots to improve your marketing for even more tools). These range from Lead Generation and Conversion Rate Optimization (CRO) to social and email marketing or even the more technical Search Engine Optimization (SEO). OptiMonk is a powerful onsite retargeting tool, which claims to recover up to 15% of abandoning website visitors. Recovering a visitor could be turning them into a subscriber or even a sale. With Optimonk you can promote special offers or gather email addresses, Facebook Messenger subscribers or even customer feedback, but it also enables to reduce your cart abandonment rate, increase your cart value and facilitate social sharing. What makes them unique is their approach to onsite retargeting. They empower users to build custom messages based on the prospect’s behavior to retarget with the most relevant offers as possible. They focus on the power of personalization to have the best possible chance to convert a prospect into a customer. In comparison to other services, you can get more than a simple popup to show. 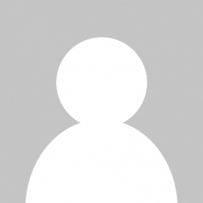 OptiMonk keeps in mind that none of the visitors will behave in an equal way on a website. Therefore, they offer targeting options which allow personalizing the message instead of broadcasting the same to the entire audience. In this way, you can hit the right audience at the right time with the most relevant message and as a result, increase conversions. By targeting small- and medium-sized e-commerce businesses, they offer a cost-effective solution which involves individual, e-commerce related functions, such as cart content monitor or source based targeting. To make it work quick and easy, they have special OptiMonk plugins for the most popular e-commerce platforms. An alternative to Optimonk, is Triggerbee. 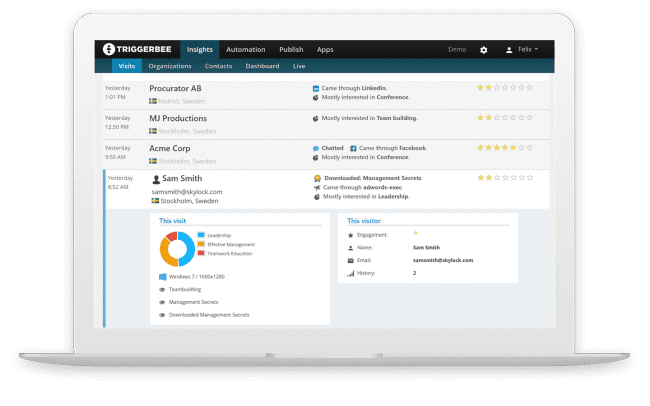 Triggerbee is a marketing and sales automation platform that makes it easy for small businesses to make better decisions based on data. You’ll be able to see who’s visiting your website and engage visitors, prospects, and customers in real-time based on their demographics and interests. Thanks to the data you collect about your visitors, you can use Trigerbee’s Widgets to seamlessly continue an email conversation with a prospect on your website, or show offers to visitors with a specific behavior. If you integrate Pipedrive and Mailchimp, your contact records will automatically be updated on-the-fly and you’ll make sure you provide actionable information about your prospects your team can use to prepare ultra-specific sales calls and marketing campaigns. 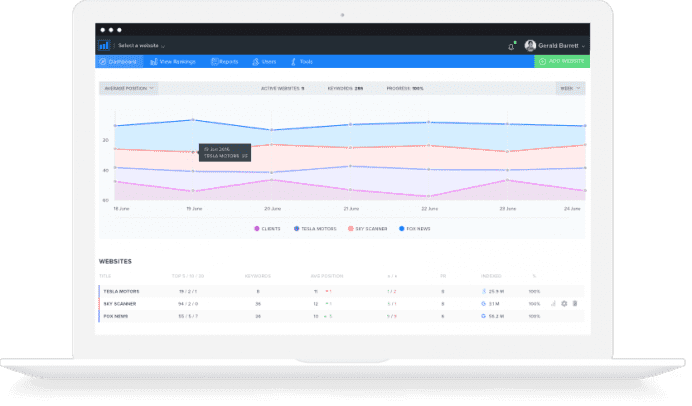 Funnel is a marketing analytics tool that collects data from all advertising platforms and allows marketers to send and visualize this data anywhere. The first tool of its kind, Funnel enables marketers to gain real-time, intelligent analysis across their entire marketing spend. Currently, in order to gather data from all marketing sources, most markers must manually download CSV files from different data sources and manually map this data in spreadsheets. For example, when a business uses 10 marketing platforms, has 5 different markets, all of a sudden they have 50 CSV files they need to fetch and map with sales data just to get an idea of how the historical performance has been. Still, most companies are doing this because they don’t know that there is a better way. Funnel replaces this process with software that is always up to date, more detailed and less prone to error. What makes Funnel so strong is the ability to get data from over 300 sources. How many times have you looked at data and wondered, how do we take this to the next level? Plenty of SEO tools provide data on rankings, links, or keywords. CanIRank takes it a step further by recommending specific actionable opportunities you can take to rank better. Depending on your website’s needs, the suggestions might include opportunities to earn links, new content ideas to write about, or on-page optimizations to improve your existing rankings. For every opportunity, you can choose to get instructions for completing it yourself or delegate to CanIRank’s team of marketing professionals throughout the US and Europe. Quintly is a web-based social media analytics platform that helps users track and benchmark their performance against competitors’. In this way, users can steadily optimize their social media strategy. Using social media is also a great way for businesses to start implementing an omnichannel marketing strategy, which will be a significant trend going foward. In order to optimize your social media performance, you should not only look at your own page’s performance, but also at how your competitors do on the social web. Taking a look at best-practice examples can be extremely valuable. 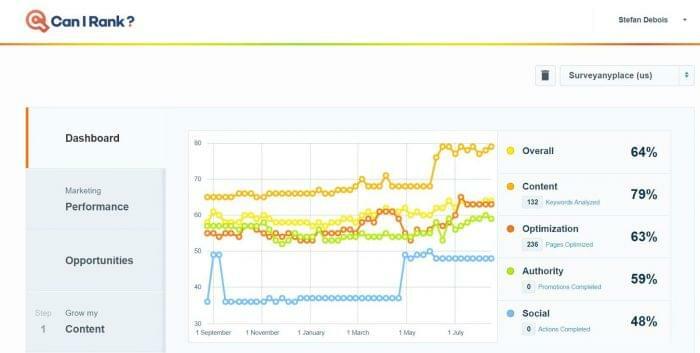 With Quintly this competitive social media benchmarking information comes to you without any work on your part. Just add the pages or profiles you would like to track and compare, and they do the rest. Adding social media feeds to your website used to mean a bunch of ugly iFrames that don’t match your website style and break mobile responsiveness. But with Juicer.io you can add a single aggregated feed of all your social media posts (or only specific hashtags), perfectly integrated and styled to match your website. Juicer.io is notably less expensive than it’s competition, for example, better-known competitor Tint charges $600/month to do what Juicer does. Juicer is free for up to 2 social media accounts and its most expensive package sits at 99$/month for 15 accounts. SE Ranking is a cloud-based platform for SEO and online marketing professionals that provides a complete set of tools for site audits, competitor analysis, website ranking, keyword suggestion and grouping, backlink monitoring, automated professional reporting, and much more. As a smaller company, they try to respond to all the feedback and suggestions as well as to stay ahead of their main competitors: Moz (SEO Moz Rank Checker), Agency Analytics, Raven Tools, Searchmetrics, Webceo, and others. 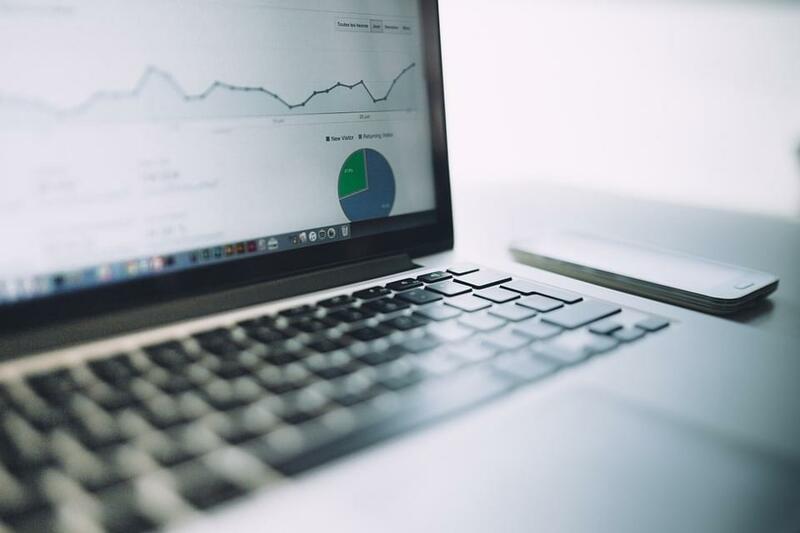 They offer 100% up-to-date and highly demanded functionality so that they can offer the most useful features for analytics, marketing, and SEO strategy improvements. 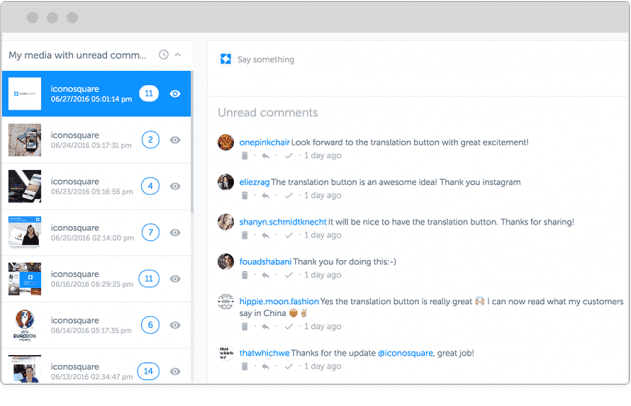 Cordial is a next-generation email marketing software and messaging platform built on real-time data. They help you, digital marketers, leverage data to create timely, personalized experiences for customers across different channels. Instead of relying on multiple technologies and messaging providers, Cordial enables brands to simplify their processes by consolidating promotional, triggered, transactional, and lifecycle messaging to create unified brand experiences that make the customer the center of every interaction. Iconosquare is an all-one-one Facebook and Instagram analytics platform, which gives you insights into your social media metrics. It schedules and automatically posts content and allows you to manage your social community from one place. Iconosquare also has a cool free tool called Instant Instagram Audit, allowing you to have your Instagram account checked and receive personalized recommendations to improve it. When it comes to content research, the more information you have, the better. With sophisticated data analysis techniques, Social Animal gives you deep insights into how a given keyword has historically performed. Because they track millions of keywords, you get practically useful information like when might be a good time to publish, which title and article lengths have maximum impact, among other things. They allow you to compare articles. Just because two articles got shared a lot doesn’t mean that they have a lot in common – other than the main keyword that is. Compare two articles and see what common and unique keywords they feature. See what other topics they cover in combination with the main keyword. Headlines are super important, but since content is king, what it is made up of matters a lot, too. Everywhere in Social Animal, you can see how the whole system attaches a lot of importance to keywords that articles are made up of. Clicking on a keyword will start a search for articles that feature it. 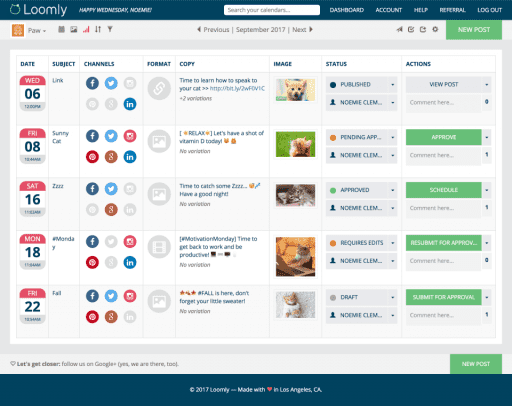 Loomly is a social media calendar tool that is simple, user-friendly and powerful. It helps influencers and social media managers manage content on their social media platforms. 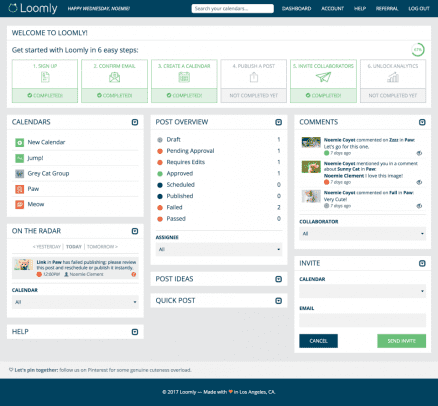 Unlike most solutions on the market, that focus on helping their users schedule pre-existing content to their social accounts, Loomly actually assists our customers along the entire content publishing process and create posts from scratch with post ideas, an asset library, optimization tips, mockups, approval workflows, automated scheduling features, and advanced analytics. Loomly has a plan for everyone — from entrepreneurs and influencers to startups, SMBs, non-profits, freelancers, agencies, or even larger enterprise teams. In terms of pricing, Loomly tends to be a bit more affordable than the competition. In particular, when you need to add more than one team member collaborating on your social media content Loomly becomes a very cost-efficient option. PDFs seems a bit of a necessary evil, sooner or later you’ll find yourself needing to convert a word file into a PDF or vice versa. PDF Pro offers a total of 22 tools that help you convert, edit and share PDF files whenever and wherever you need to. The entire product has been designed to be extremely simple to use for beginner and advanced PDF users alike. They offer free goodies to teachers and students and they have free options for converting PDFs to Word as well, in addition to an array of features that make it a more robust free option than the competition. They allow you to export up to 3 free files per month, for more frequent users there are different subscription plans. PDFs are easy to share so they’re an ideal way to provide and present information digitally. From creating multimedia presentations, eBooks, and Whitepapers to creating templates – PDFs make marketing tasks simple. And the results look good because PDF is compatible with nearly every hardware and software combination you can dream up. We’ve all have good and bad experiences with online brands continuously, yet it seems they could have done so much more to boost engagement with their customers for sales and support. Especially, as overtime, businesses have become the ones fighting for customers in the online space. 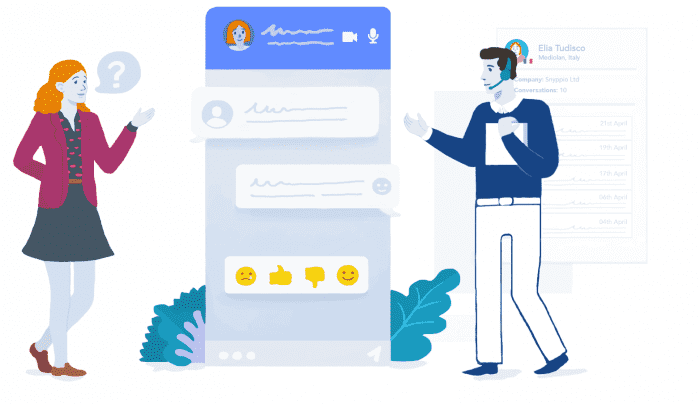 Acquire is the first communication platform to innovate beyond traditional text chat widgets and connect customers and companies through our multi-channel platforms including live chat, video call, co-browsing, and AI chat messenger. It is adopted in Sales, Support & Customer Support teams in global leading brands, across the entire customer journey from engagement, acquiring, retention and support. This list could go on and on. There are at least a dozen alternatives for every major digital marketing tool. 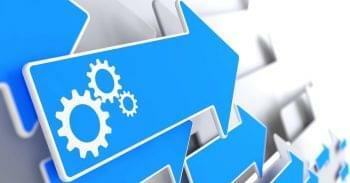 These tools might even play a role in improving your marketing automation software that you already have in place. We’re not saying you should use all of these lesser-known tools, but definitely give those tools you currently lack in your marketing arsenal a try.